Persons and objects cause air turbulences when moving around. 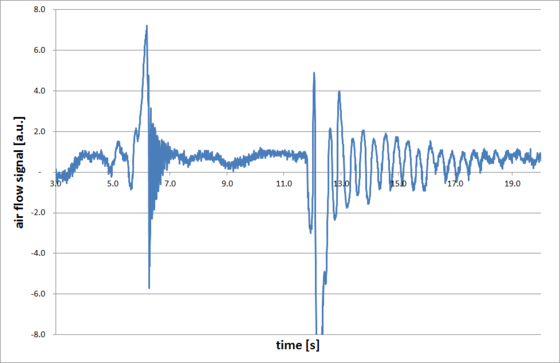 A flow sensor can detect the direction of such air turbulences. 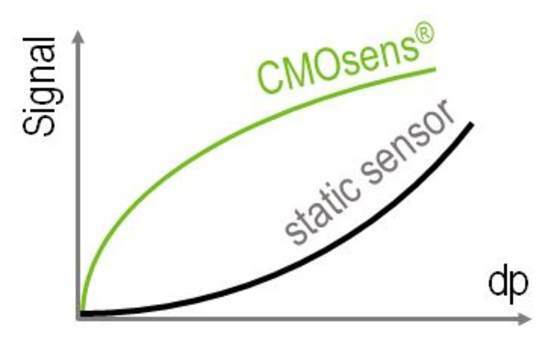 Thus, it is possible to determine the direction of movement of persons and objects passing by the air flow sensor. This valuable information can be used to drive actions for building control or surveillance purposes. 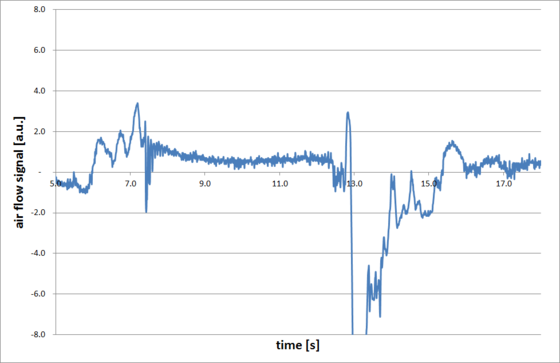 A smart home might turn on lightning in the direction of detected movement. A smart thermostat might increase or decrease temperature based on room occupancy and load. 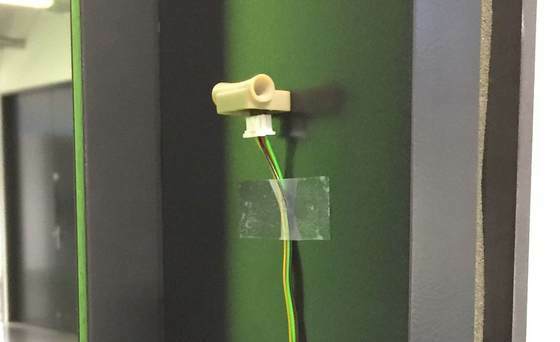 A Sensirion flow sensor was attached to a doorway (figure 3, 4). 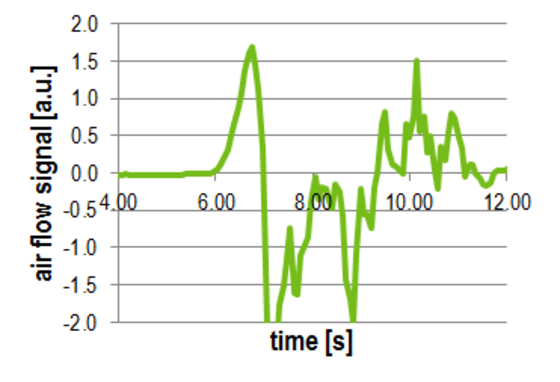 Air movement was generated by a person entering and leaving the room. 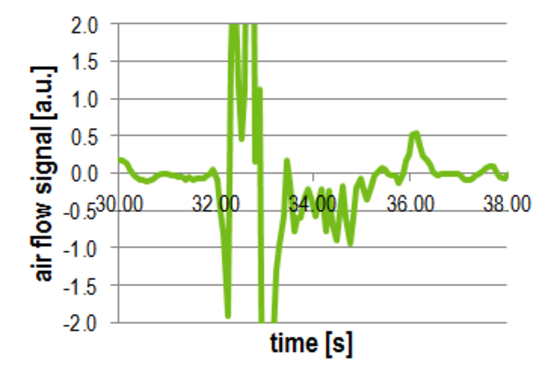 The sensor output was logged with Sensirion's EK-P3 Evaluation Kit. 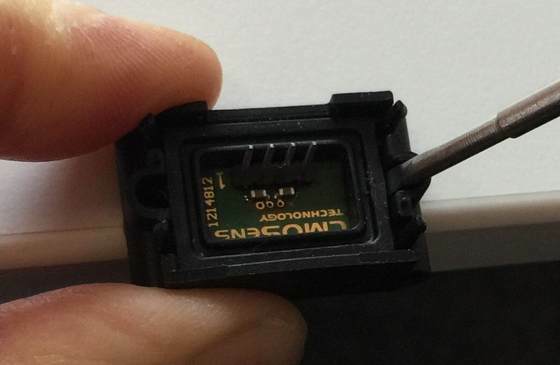 Figure 3: Air flow sensor attached to doorway. 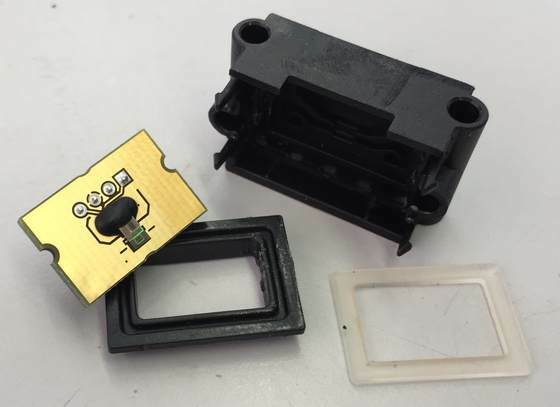 EK-P3 evaluation kit used for data logging. 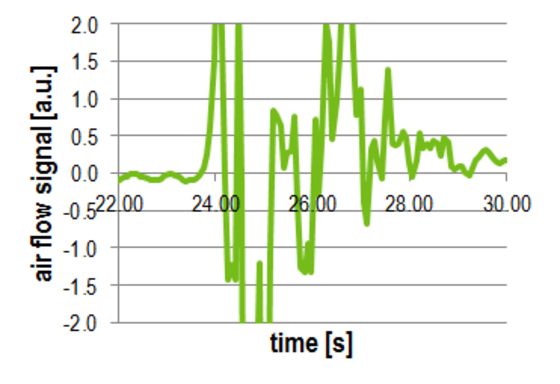 The measurement result demonstrates that Sensirion's air flow sensor can be used as movement detection sensor (figure 4-8). 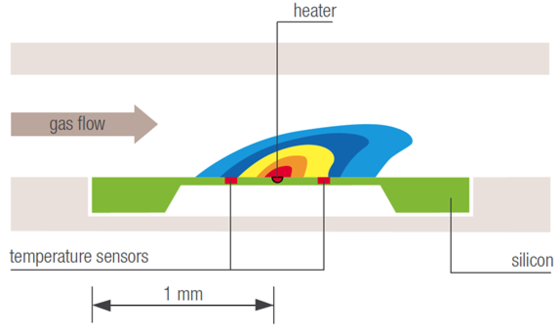 A person moving slowly or quickly is detected by the air flow sensor attached to the doorway. 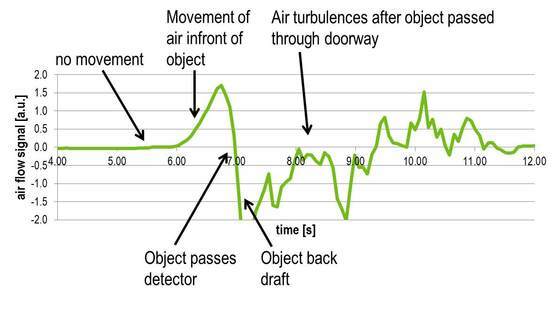 The event of an opening or closing door is also detected by its generated air turbulence (figure 9, 10). 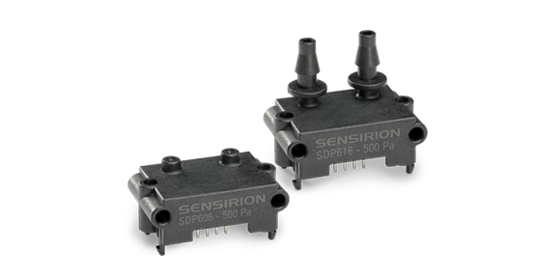 To build an own movement detection sensor a Sensirion differential pressure sensor SDP6xx series (figure 12) can be sourced from distributors listed on the Sensirion website. 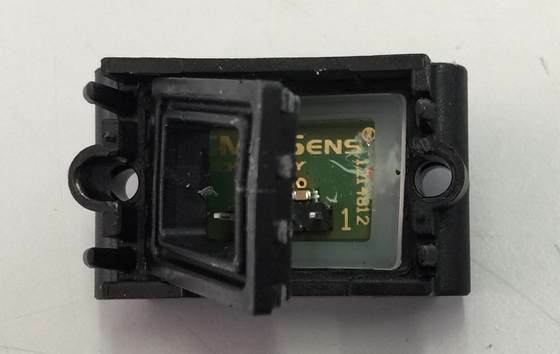 By careful breaking the inner plastic ring seal from the sensor's backside, the sensor chip is uncovered (figure 12-15). 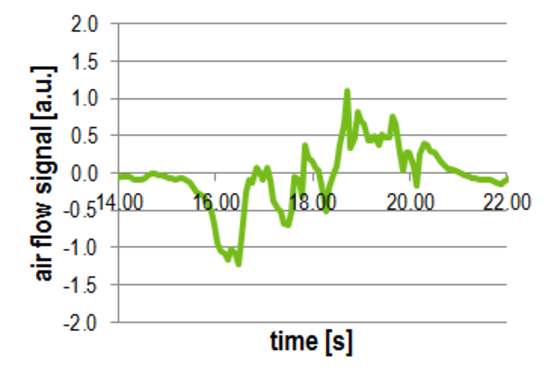 Communicate with the digital sensor over I2C according to the explanations in the SDP600 series data sheet.